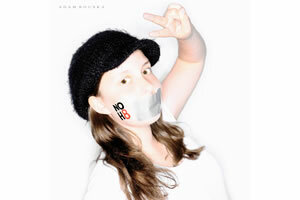 An LGBT book project based in California is headed by 14-year-old Amelia Roskin-Frazeel. The Make It Safe Project donates books about sexual orientation and gender identity to K-12 schools, school Gay-Straight Alliance clubs, and LGBT-inclusive youth homeless shelters which would otherwise do without. Roskin-Frazeel founded her school's Gay-Straight Alliance, The Rainbow Connection, after she decided to stop arguing for gay rights and begin arguing for her rights. She came out to family and friends at the age of 12.